CARLSBAD, Calif. — The 19th Annual Powder Awards is excited to return to Breckenridge, Colorado, on Thursday, December 13, 2018, during the Winter Dew Tour. Celebrating the best in ski cinematography, athletic achievement, and photography, the Powder Awards will be held once again at the Riverwalk Center just off Breck’s iconic Main Street. The event also showcases readers’ favorite skiers with the annual Powder Poll. 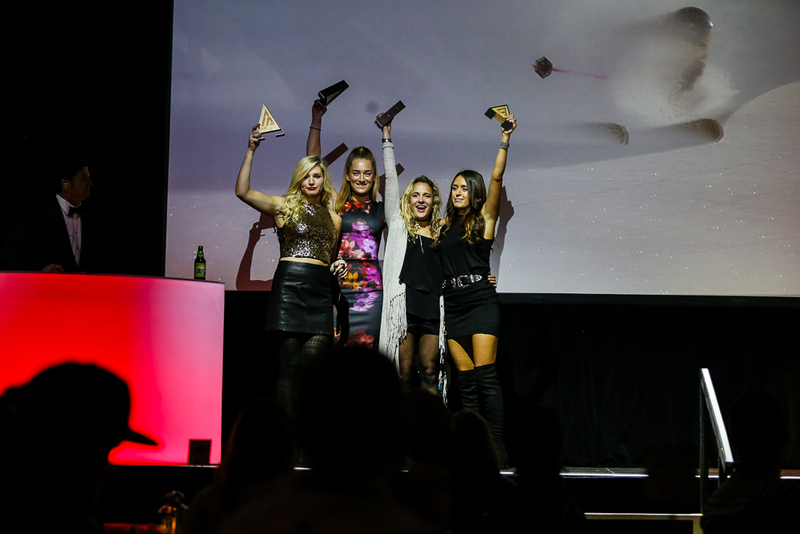 One of the biggest nights in skiing, the Powder Awards attract a who’s who of the industry, including professional skiers, ski legends, ski film production crews, industry brands, media, and celebrities. Tickets for the “Biggest Night In Skiing” are on sale now for $12 at PowderAwards.com, with a portion of the proceeds benefiting the official Powder Awards non-profit partner, High Fives Foundation. The safety net of the outdoor action sports community, High Fives raises injury prevention awareness while providing resources and inspiration to those who suffer life-altering injuries. Meanwhile, the 19th Annual Powder Poll presented by Toyota invites the ski community to choose the best representatives of the sport. To narrow down the field, the POWDER staff chose the top female and male athletes in skiing based on their influence on the sport through film segments, competitions, photographs, community involvement, and social engagement. Now we need you to determine the three male and female winners. Past winners have included Ingrid Backstrom, Angel Collinson, Seth Morrison, Tom Wallisch, and Candide Thovex. Check out the list of athletes and vote on PowderAwards.com. 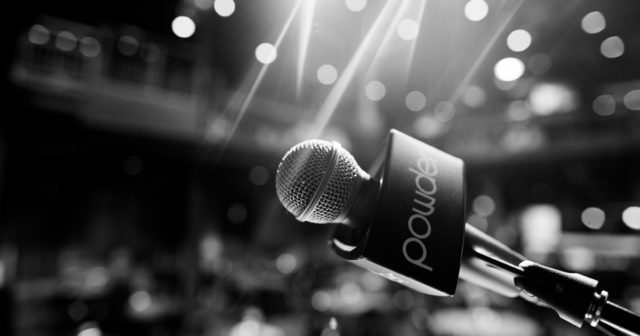 POWDER will announce the podium of athletes with the most votes from our readers at the live show on December 13. Voting ends on November 23, 2018. The 19th POWDER Awards and Reader Poll will take place December 13th, 2018 at The Riverwalk Center in Breckenridge, Colorado. We will be supplying full media services for TV, print, radio, and webcast purposes during the event. You may apply for Media Credentials by clicking on the MEDIA Tab above and filling out the form. Established in 1972 as The Skier’s Magazine, POWDER is produced by and for those who embrace skiing and developed through a collective love of two things: good skiing and quality storytelling. Since its inception, POWDER believes in authenticity, experience, and a respect for its readers- the most passionate, dedicated, and loyal in the sport. Forty-eight years after its founding in Sun Valley, Idaho, POWDER’s network of digital and social properties, magazines, books, radio, and events, makes it the most influential and reliable source of information for the ski community. POWDER is published by TEN: The Enthusiast Network. For more information, please visit POWDER.com. FOR QUESTIONS REGARDING MEDIA REQUESTS, ACCREDITATION, ETC. The 19th POWDER Awards and Reader Poll will take place December 13th, 2018 at The Riverwalk Center in Breckenridge, Colorado. We will be supplying full media services for TV, print, radio, and webcast purposes during the event. Please fill out the form below to request Media Credentials. Press releases and digital images will be available via email. Once we receive each film company's nomination, we combine their submissions to present to our expert panel. Perhaps the most integral ingredient of the Powder Awards is the expert panel. Each year, we scan and survey the industry for about two dozen industry-wide experts, from photographers, to skiers, to filmers, to writers, to product and marketing managers, in order to judge and select nominees for each category. These experts vote for their top five nominations and a winner in each category. And you, the reader, have a place too. As tradition dictates, readers are asked to vote for their favorite male and female athletes in the Reader Poll by voting online at PowderAwards.com. So make your voice heard, and see who wins on the night of December 13, 2018. Who are the best representatives of our sport? You decide. It seems as soon as one epic night of the Powder Awards and Reader Poll concludes, our team is hard at work planning another unforgettable night for next year. It's a scramble to organize all the festivities involved, yet somehow, the staff congeals and continues to elevate the fun each year. The wheel of plans and ideas spins around the Powder offices in late-spring, and we decide on a theme in early-autumn. Guest presenters,entertainers, and hosts get slated in the fall. Invitations are mailed out shortly thereafter for the best night in the ski industry hosted at The Riverwalk Center, in Breckenridge, Colorado. Now in its 19th year, the Powder Awards has grown to become one of the biggest nights in skiing, attracting a veritable who's who of the industry—professional skiers, ski legends, ski film production crews, industry brands, media, and life-long skiers who are the readership of Powder magazine. And while the Powder Awards primarily highlights the best of the year's ski films—like Movie of the Year and Best Male and Female Performance, for instance—the ceremonies also acknowledge our readers' favorites with our annual Reader Poll. Hence, the all-inclusive celebration of skiing, and why everyone who loves skiing will head to Breckenridge for one big night in December. Located in the heart of Breckenridge, one of America’s classic ski towns, the Riverwalk Center is an elegant space that will host the 19th annual Powder Awards on December 13, 2018. For more information on The Riverwalk Center in Breckenridge, Colorado, go here.